An English website has popped up for Adventures of Mana, the upcoming Final Fantasy Adventure remake that was previously announced for Japan. There’s no official announcement yet, but the English screenshots pretty much confirm that the game’s coming west. 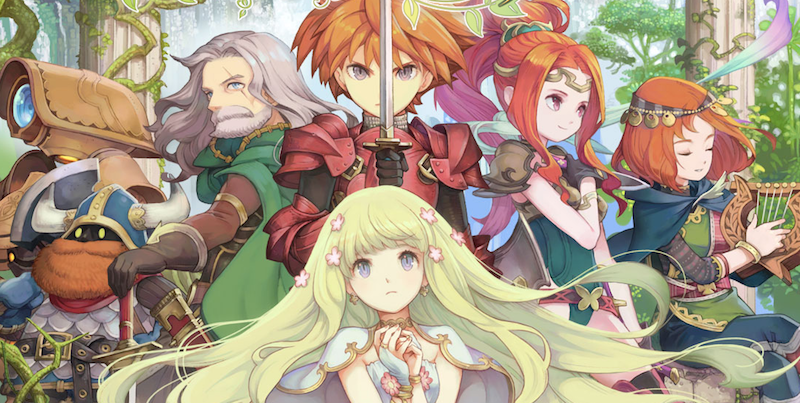 Although the Japanese version of Adventures of Mana is planned for iOS, Android, and Vita, some tipsters have pointed out that the English website ditched the PlayStation logo, implying that the western version will stick to mobile platforms only. As you may remember, Final Fantasy Adventure came out for the Game Boy in 1991. Squaresoft slapped it with the “Final Fantasy” title in hopes of improving sales, but as western gamers would later discover, this was actually Seiken Densetsu, a predecessor to the Super Nintendo action-RPG Secret of Mana. In 2003, Square released Sword of Mana, a GBA remake that maintained the spirit of Final Fantasy Adventure but overhauled the entire story, world, and mechanics. Adventures of Mana will stick far closer to the original game.